The mass dismissal of decade-old summonses follows multiple new justice reforms that will end the criminal prosecution of tens of thousands of low-level offenses annually, including: diverting farebeating cases from criminal court, issuing summonses instead of arrests for low-level offenses, creating early diversion programs for first-time arrestees; and holding “Clean Slate” summons warrant forgiveness events. In June, the District Attorney’s Office announced that, beginning in September 2017, it will no longer prosecute the overwhelming majority of individuals charged with Theft of Services for subway-related offenses, unless there is a demonstrated public safety reason to do so. Theft of Services, a class A misdemeanor also known as “turnstile jumping” or “farebeating,” is the most common charge in Manhattan Criminal Court: nearly 10,000 individuals were arrested on this charge in Manhattan last year. In the coming months, the Manhattan DA’s Office will work with the NYPD and the Mayor’s Office of Criminal Justice to drastically reduce the number of people prosecuted in Manhattan for committing this offense, through a combination of issuing summonses in lieu of arrest, and offering pre-arraignment diversion to those individuals who are arrested for this crime and issued a desk appearance ticket (DAT). 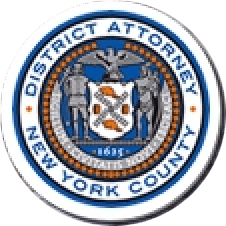 If those individuals successfully complete the terms of a diversion program, the Manhattan District Attorney’s Office will decline to prosecute the case, the individual will need not appear in court, and the record will be sealed. Also in June, District Attorney Vance awarded grants to three organizations – the Center for Court Innovation, the Osbourne Association, and Young New Yorkers – to create early diversion programs that provide participants with opportunities to avoid prosecution and an arrest record, while being held accountable in a community setting. The initiative is modeled after the success of the Office’s signature Project Reset pilot program, a collaboration by the District Attorney’s Office, the Center for Court Innovation (CCI), and NYPD. Under Project Reset, 16- and 17-year-old first-time arrestees who are arrested for low-level offenses are eligible to complete a counseling program, or other age-appropriate interventions, administered by CCI. The Early Diversion grant recipients will serve eligible participants over the age of 18 – first-time arrestees, charged with non-violent misdemeanor crimes – with similar pre-arraignment intervention opportunities throughout Manhattan. Certain programs will target young adults between the ages of 18-to-20-years-old. The grants, awarded through the Manhattan District Attorney’s Criminal Justice Investment Initiative, are expected to help serve an estimated 5,000 each year. The District Attorney’s Office will provide total funding, initially estimated at approximately $6.5 million, over three-and-one-half years. In March 2016, District Attorney Vance announced that he would end the practice of criminally prosecuting most low-level, non-violent violations and infractions. Under the initiative, unless necessary for public safety reasons, the NYPD no longer arrests individuals who commit these low-level offenses in Manhattan, and the Manhattan District Attorney’s Office no longer prosecutes most infractions and non-penal law violations, including drinking alcohol in public, public urination, and various subway offenses. Additionally, if an individual receiving a criminal summons is found to have an open summons warrant or another New York County warrant, he or she is not placed under arrest and processed for the immediate summons matter, but instead, taken directly to a Criminal Court Arraignment Part to face a judge on both the summons matter and outstanding warrant. Furthermore, if a summons recipient is unable to produce a photo ID, he or she is not automatically arrested. Instead, that individual is taken to a precinct and given time to have someone bring their identification, after which they may leave with a criminal summons requiring their appearance at a later date. The results of this initiative were stark and immediate: 11,000 fewer low-level cases were referred to the Manhattan District Attorney’s Office in 2016, meaning thousands of New Yorkers were spared from unnecessary arrest and detention, as well as accompanying employment and immigration consequences. Despite this 79% reduction in arrests for low-level violations in Manhattan, 2016 was one of the borough’s safest years on record. In June, District Attorney Vance – together with partners in the NYPD, the Office of Court Administration, the Legal Aid Society, and Neighborhood Defender Services of Harlem – hosted Manhattan’s third “Clean Slate” summons warrant forgiveness event. More than 380 New Yorkers from neighborhoods across the City came to Bethel Gospel Assembly, Inc., in East Harlem to resolve outstanding summons warrants for low-level offenses, without fear of arrest. Attorneys from the Legal Aid Society and Neighborhood Defender Services of Harlem screened and gave free legal advice to individuals whose summonses were ineligible for warrant forgiveness under Clean Slate. The East Harlem Clean Slate followed previous events in Central Harlem and the Lower East Side. Since the first Clean Slate event, approximately 900 summons warrants have been cleared. In addition to the outstanding warrants, underlying summonses are also resolved at these events without fines or other penalties. The presiding judge issues Adjournments in Contemplation of Dismissal, or ACDs, which require the recipient to avoid new arrests for six months, before the dismissal and sealing of his or her case. Public defenders are present to screen cases and offer free legal advice, including for those with open misdemeanor or felony warrants that cannot be resolved at this event. Clean Slate also offers resource fairs with job training, healthcare information, and referral services onsite. On-site interpreters assist Spanish, French, Mandarin, and Cantonese speakers, and help provide translation services for speakers of other languages.